When I was commissioned by the Canberra Centre recently to create a Martini to celebrate the opening of its new beauty precinct Imwanted to make something very special. Over a few months I tried several interesting gins,vermouths and vodkas combinations until I arrived an ambitious, but delicious cocktail. Knowing I’d be hosting two Martini Masterclasses on the 14th July for 80 people, it had to be both scalable, easy to produce, yet still beautiful and approachable for those new to a Martini. It also had to be unique! Some of the Canberra Centre support crew, they really ensured this was an evening to remember. Happily, I can report that it turned out perfectly and the events were a great success and had rave reviews. The first session was full of many of the local foodie blogger scene here in Canberra and as I looked out it was a swarm of cameras and iPhones streaming and instagramming everything- so no pressure at all! The intent was to create a layered cocktail that revealed itself over several sips, and look gorgeous to boot. By chance, the event was held on France’s national day, the 14th July, so it was fitting that I used all French ingredients. Gold leaf foil as a garnish- pure indulgence! 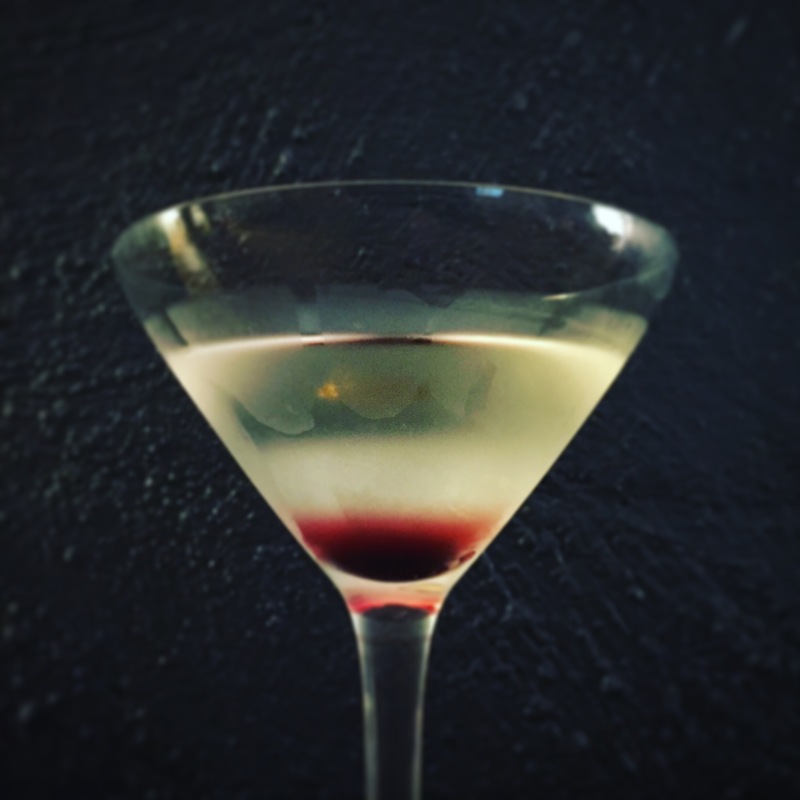 The Martini is built in a mixing glass over ice, Gin, vermouth and then the St. Germain. Stirred until very cold, then poured into a chilled cocktail glass. Then add a dash of the Cassis and let it settle to the bottom. Now for the fun part, some gold leaf for some pure luxury on the top as the garnish! The cocktail should have a slight amber hue with the red and gold contrasting happily. The flavours work in layers with a musky dryness from the gin, then the spice and length of the vermouth, rounded by a slight honeysuckle note and softness of the St. Germain, with final sip being the Cassis which has now been toned down for a slight sweetness and a dry finish overall. Mind you, garnishing 80 Martinis in quick succession in an improvised bar with gold leaf is a challenge that really tested me- rather fiddle stuff to handle! I must say, this is perhaps my finest creation to date. It was especially fun to share the evening with Dimitri Weber, founder of Goldfield and Banks, a charming Frenchman who followed my demonstration with an insightful deconstruction of the Martini from the perspective of French perfume, fascinating! You can also watch a video from the evening on my Facebook page here.